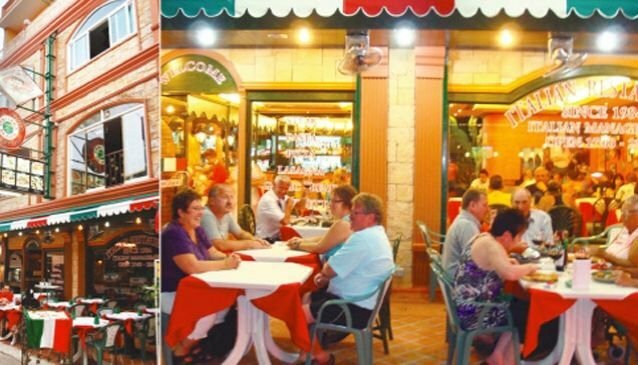 Trattoria Capri da Rico, which serves Italian home cooking, is the oldest restaurant in Phuket. Dine on Italian favourites and from a choice of more than 100 dishes from appetizers, pasta, pizza, steak, seafood and more. Specialty items include Minestrone di Verdura, Italian vegetable soup; Pizza Capricciosa, pizza with salami, ham, mushrooms, green peppers, onions; Fettucine al Salmone Affumicato con Brandy, fettucine with smoked salmon and brandy sauce; Penne ai 4 Formaggi , penne with four different cheese sauces; Scaloppina alla Parmigiana, Escalopes with parmesan cheese sauce; and Filetto al Pepe Verde, fillet steak with green pepper sauce. Find us on Soi Foodland close to Soi bnagla in Patong. Chef Rico of Trattoria Capri da Rico bids you Buon Appetito!